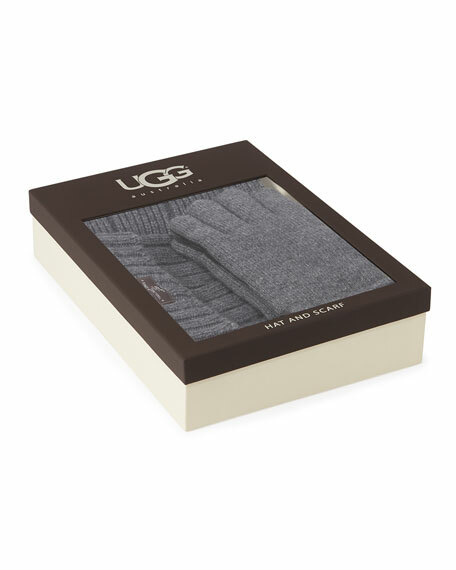 UGG® three-piece "Calvert" knit set. 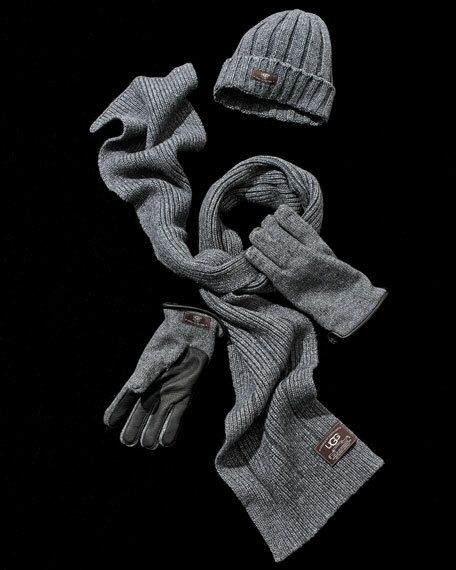 Ribbed knit hat with logo patch and folded cuff. Wide-ribbed knit scarf with logo patch. 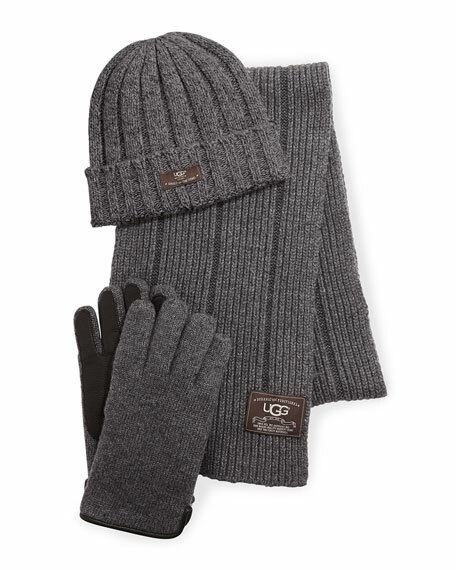 Leather and knit gloves with soft faux-fur (polyester) lining. For in-store inquiries, use sku #1523699.